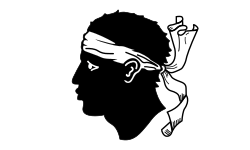 Corsica a sovereign nation, the Corsican Republic, independent from the Republic of Genoa. He created the Corsican Constitution, which was the first constitution written in Italian under Enlightenment principles, including the first implementation of female suffrage, later revoked by the French when they took over the island in 1769. The republic created an administration and justice system, and founded an army. University Press. p. 289. ISBN 0-521-84580-7. ^ Thrasher, Peter Adam (1970). Pasquale Paoli: An Enlightened Hero 1725-1807. Hamden, CT: Archon Books. p. 117. ISBN 0-208-01031-9. ^ Simms, Brendan (2008). Three Victories and a Defeat: The Rise and Fall of the First British Empire, 1714-1783. London: Penguin Books. p. 663. ISBN 978-0-14-028984-8.